Play is human nature, which we remember and return to because of the excitement involved. Hence, play is in most cultures used in learning common rules and in achieving social harmony among children as well as adults. Additionally, practical subjects such as science include playful interaction with objects. This book outlines theoretical frameworks that apply in playing to learn and characteristics of games that are important in encouraging learning. Regrettably however, abstract and boring systems, as well as watching television, replace such enjoyment in learning. 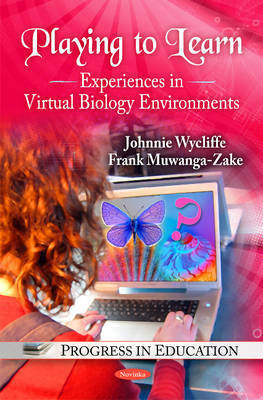 Fortunately, robust virtual environments and realities ease the rigour in designing and in executing educational play. It has to be noted that virtual environments are now designed for television sets, mobile telephones and computers. Therefore, the book 'Information and Communications Technology' (ICT) includes all of such technologies, although the cases reported here are specifically computer games.